Dehai News -- Aljazeera.com: Is political integration in the Horn of Africa possible? Aljazeera.com: Is political integration in the Horn of Africa possible? 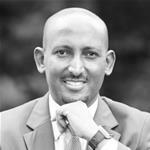 *Dr Mehari Taddele Maru is a scholar of peace and security, law and governance, and human rights and migration issues.